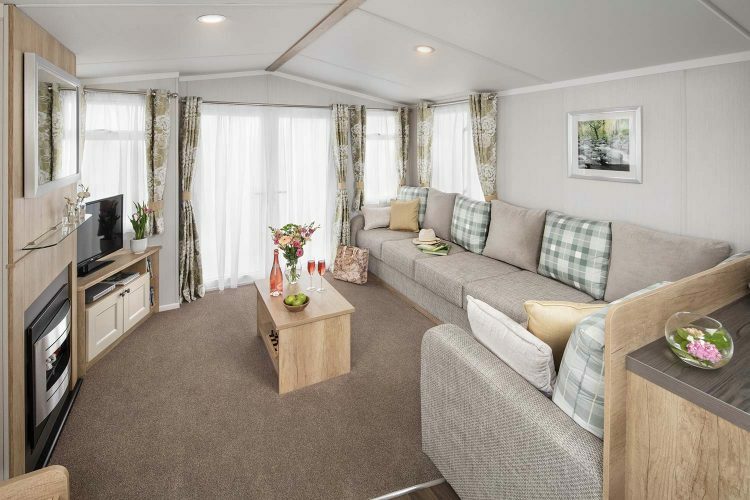 Arriving in February 2018 this beautiful 28’x12′ 2 bedroom Swift Burgundy caravan for sale offers stylish, modern and spacious accommodation. The open plan living area offers French doors leading to the balcony with views over the countryside. This holiday home sits in a private corner plot.